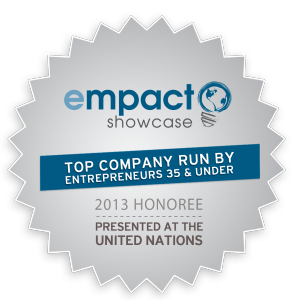 The Shoeboxed team is proud to announce our inclusion in the Empact 100 showcase for the second year in a row! The Empact Showcase is a compilation of 100 companies in the United States started by entrepreneurs who are age 35 and under, and whose annual revenues or operating budgets (for non-profits) are more than $100,000. In 2012, the companies comprising the Empact Showcase contributed more than 8,500 jobs to the economy, and controlled over $1.3 billion in revenue. The honorees for this year were selected based on company revenue, with additional factors such as number of employees, social impact, growth over the past year and innovativeness coming into play. We are ecstatic to have been awarded this honor for a second time and would like to thank all of our awesome users for making this possible! Shoeboxed on Dallas Radio KRLD 1080!